Voucher Codes Canada > Bargains Blog > Savings Are the Best Way to Start Off the New Year! Savings Are the Best Way to Start Off the New Year! Are you under the impression that savings have ended because the holidays are over?Actually, some of the best deals are still to come! Though January is usually considered a slow month, deeper discounts can be found. Don’t believe me? Take a look below at our round-up of some of the best deals. Buffalo Jeans is currently hosting their semi-annual sale with an extra 50% off sale items. Men and women alike can find crazy savings on some of the items they love most. The final discount is not reflected in the price and is shown in the shopping bag only. To top it off, we also have a Vouchercodes.ca exclusive for you to save $20 off when you spend $150 or more. Yes, it does work with the sale! The Source understands all too well that you need to fully accessorize the new gadgets you got during the holidays and is throwing an even bigger sale than before. Right now, you can save up to 70% off site-wide on a mountain of items, ranging from the ordinary to the extraordinary. Save a little bit more money by having it shipped to your local store for free. 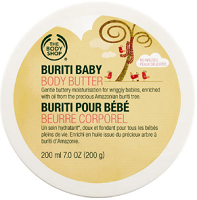 Did you find a new fave from The Body Shop’s Winter collection? Stock pile it right now during their Winter Sale where you can get up to 70% off select items. Among them is a bunch of gifts, body butters and a mass of other devilish smelling products that will get your month watering. There’s also a handful of other deals currently happening; check out the site for yourself and see where else you can save! Shipping is also free with orders over $50. Still craving for more savings? Keep an eye on the Bargain’s Blog and your favorite store!